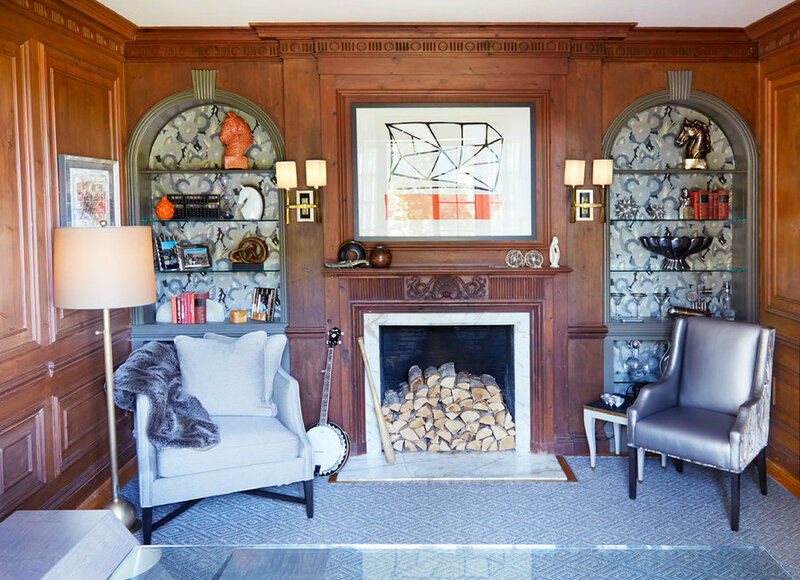 Blending contemporary furnishing and accessories with traditional wall paneling. Floral vintage wallpaper was added to the back of the bookcase and accented with glass shelving. 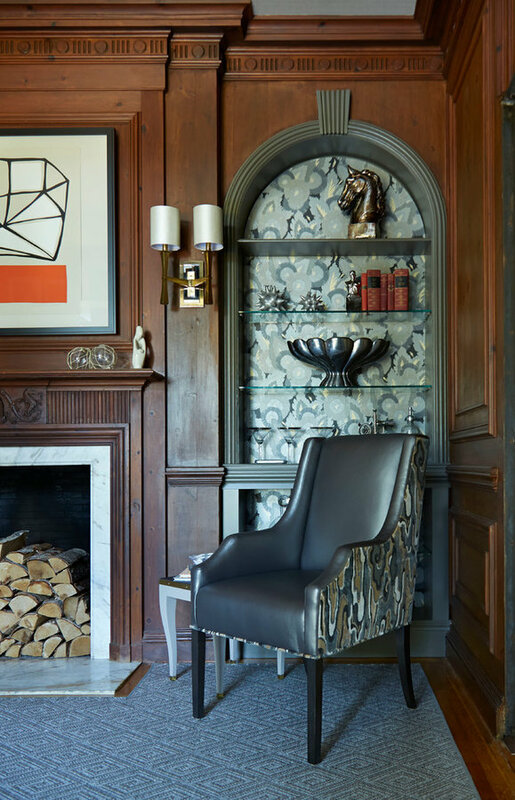 A fluid contemporary patterned fabric adds interest to the side of the chair. 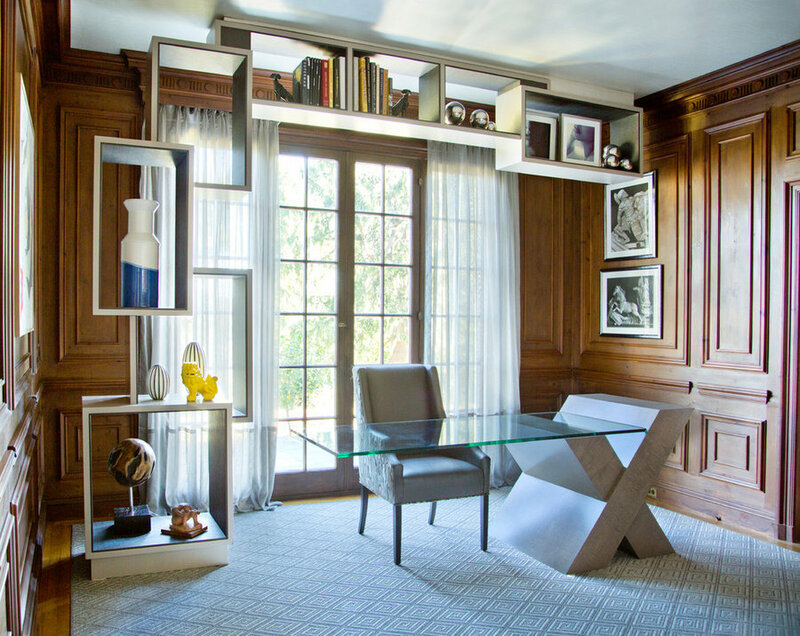 Custom designed asymmetrical bookcase© and X-desk© were designed to bring a fresh perspective to a traditional wood paneled study. The blending of the styles is for the refined palate that appreciates the traditional architectural backgrounds.